Turn right out of Exit 1 of Kojimachi Station of Tokyo Metro Yurakucho Line at the MUFG Bank. Cross at the crosswalk and walk straight. 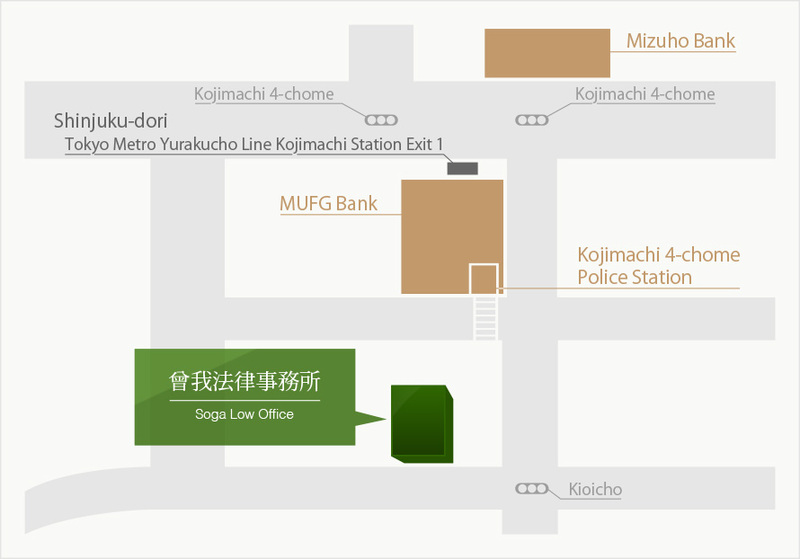 Turn right at the Kioicho intersection along the sidewalk and you will find Kojimachi MK Bldg. on your right. Please take the elevator to the 4th floor.